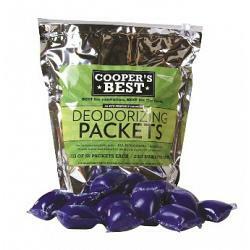 These are the Cooper's Best Deodorizing Packets for use with portable restrooms. Cooper's Best Deodorizing Packets (Mulberry Scent) are the perfect environmentally friendly alternative for odor control in your portable restroom and portable toilet. Single use packets dissolve and release all-natural bacterial agents to dissolve waste and destroy odor. All you need is one packet per 5 gallons of fresh water when servicing your unit. Deodorizing packets come 250 packets per case. 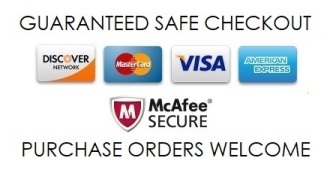 Ships FREE with the purchase of any PolyJohn Portable Restroom, Portable Handwash Station or Tank!